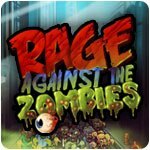 Rage Against The Zombies Game - Download and Play Free Version! Waves of various DUMB ZOMBIES want to be your best friends! 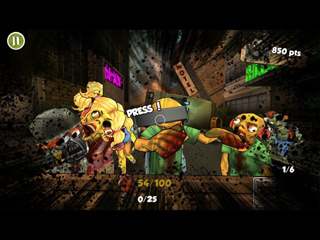 A gigantic ZOMBIE INFESTATION is going on in your city and you're the only ONE who can STOP THEM! 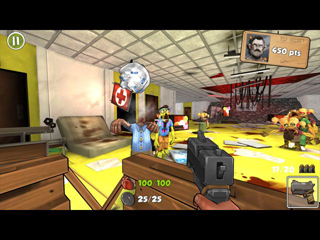 Waves of various DUMB ZOMBIES want to be your best friends, but it looks like you would prefer to see them dead! So help yourself and use your skills to kill them all! Let's add some FUN and don't hesitate to make some nice HEADSHOTS!!! TIP: You're not alone, so don't shoot the pretty NURSE and she will try to heal you!